Paintless dent removal in Kannapolis, NC is a revolutionary new way that you can remove the look of a minor dent, hail damage and more. If you’ve been looking for “mobile dent repair near me” it’s likely that you’ve been trying to find a company with real experience. Our Kannapolis dent removal service comes at industry-leading prices and with the help of highly skilled staff members who can perform the solution extremely quickly. 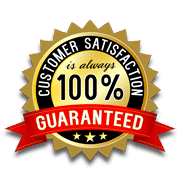 The best part about these types of repairs is that they can be done with 100% customer satisfaction. If you are unsatisfied with the mobile dent repair job that we have completed, you can contact us for a refund or another repair until we get it right. We use the best tools and have the best laborers in the industry and take pride in the fact that we can truly stand behind our work. The process of paintless dent removal is very different from traditional dent removal. 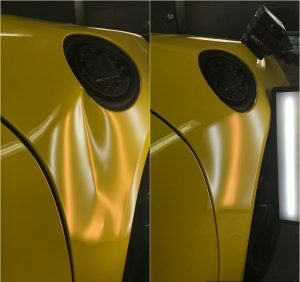 Rather than having to keep your car on hand for several days at a time to remove body panels and perform a complete repaint, we can fix the dent while preserving your original finish. Only certain types of dents will remain excellent candidates for this techniquel. Be sure and contact us today to get the damage assessed and to see if you would be a good candidate for this process. Through our mobile dent repair solutions, we can also come out to your location and perform repairs when it’s most convenient for you. We have performed repairs at the office, at home and in our shop. Contact us about mobile dent repair in Kannapolis, NC. If you need a quote for hail damage or any other types of minor dents and dings, give us a call at Piedmont Dent Repair today.